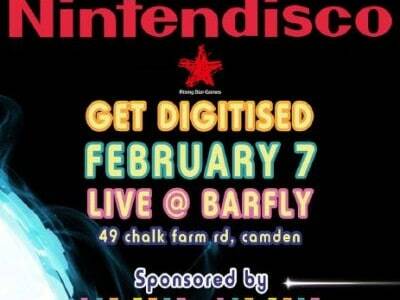 If you’ve ever found yourself humming the score to classic video games and wondering how they’d sound given a club mix treatment – there’s an upcoming event in London that will undoubtedly meet your approval. 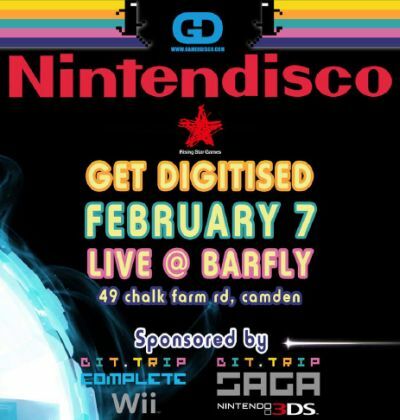 The organisers of what’s billed as ‘the UK’s Number One retro gaming club night’, Nintendisco, are holding a celebratory event at the capital’s Barfly next Tuesday, February 7. The theme revolves around BIT.TRIP, a compendium of vintage-styled games described as “a crazy mix of 80s aesthetics and modern game design”. Those attending will hear a selection of chiptunes and electro-style sounds, receive an opportunity to try out the BIT.TRIP series of games a month before their general release in the UK. Doors open at 7.00pm and admission is free.